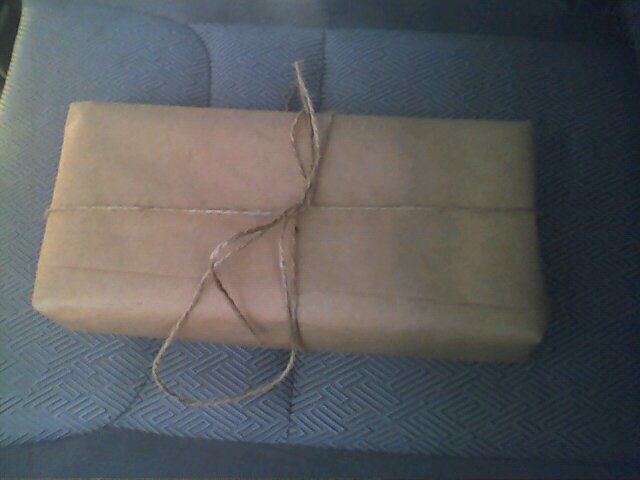 For some reason I like the simplicity of wrapping gifts in brown paper and tying then with twine. No tape is used at all. Maybe it's the rough feel of the paper. Maybe it's because I was too sloppy for normal "pretty" gift wrapping and this method hides it. I just hope it's not because of that song from The Sound of Music. You didn't put that cat in this box, did ya ? Shhhh! No one is to know about that. I'm supposed to be pet sitting for that cat, but thought it would be easier to just keep it in a box.